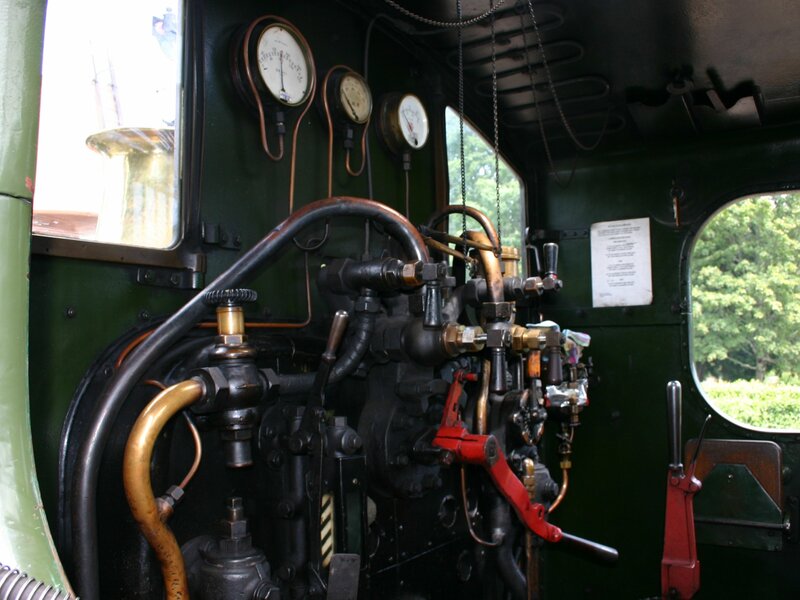 As can be seen by the number of posts published in the past few days, a visit to the South Devon Railway is an experience not to be missed. 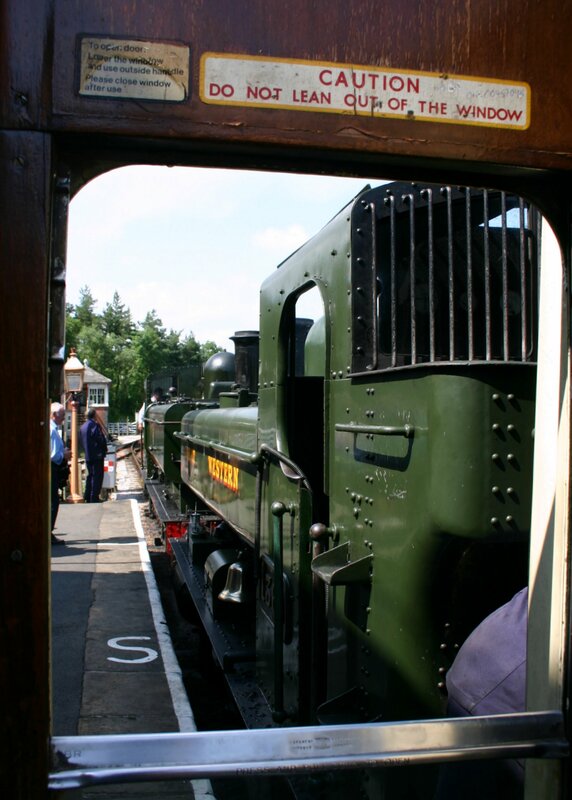 The beautiful route, the attractions nearby, the loco yard, the model railways all make it a very special place. 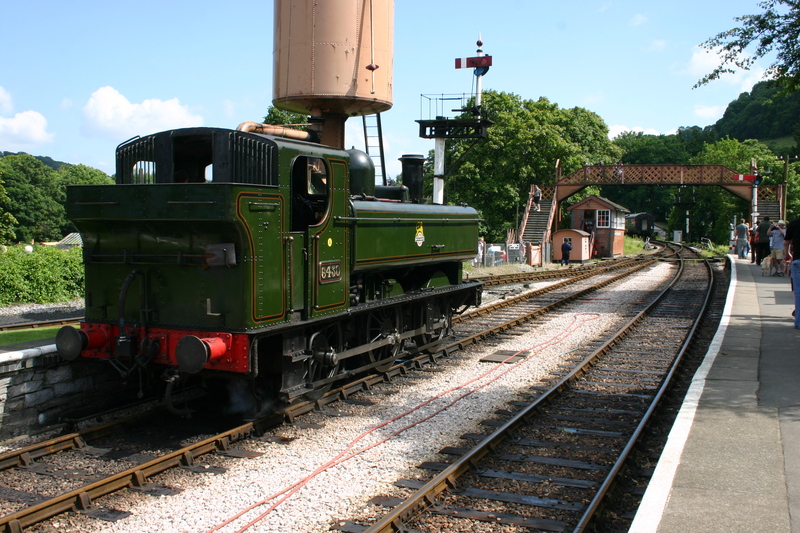 Todays post looks at the two locomotives that were in operation the day I visited the line; pannier tank’s 1369 and 6430. 1369 is the sole survivor of class 1366 and I was very pleased to both see and be pulled by the 1934 built machine, as it was the first time I recall seeing it in operation. 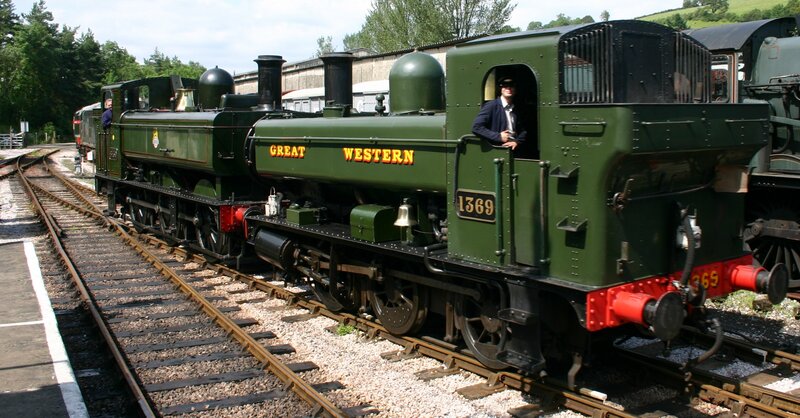 Unfortunately this locomotive is not available as a ready to run model which is a shame for GWR fans, who would, I’m sure, like an example of such a distinctive pannier tank. 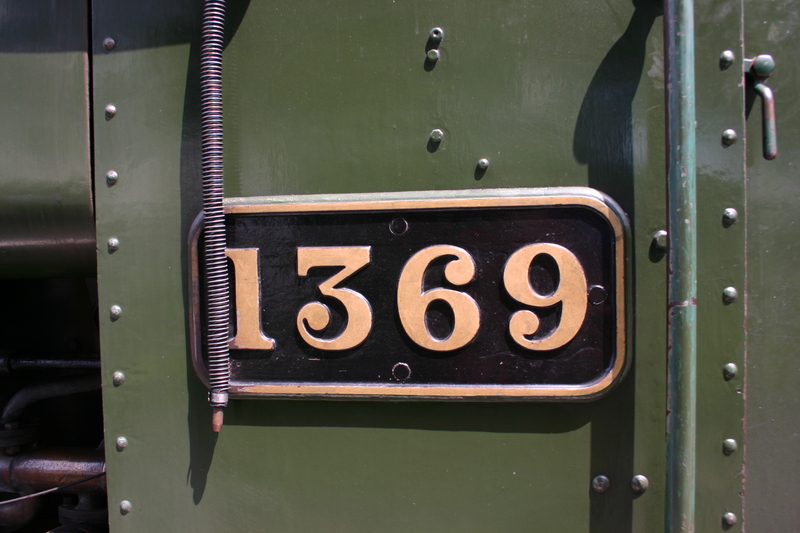 My final two pictures were taken the following day, when I was lucky enough to catch 1369 passing through Staverton. What a little beauty! I’m particularly pleased with the panned shot below, it’s not often these come out as hoped! 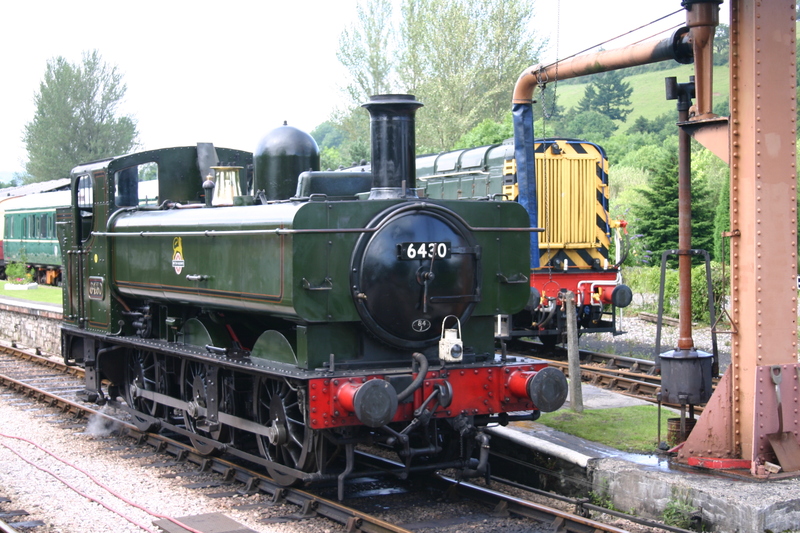 The second pannier in operation was a 64xx class; number 6430. 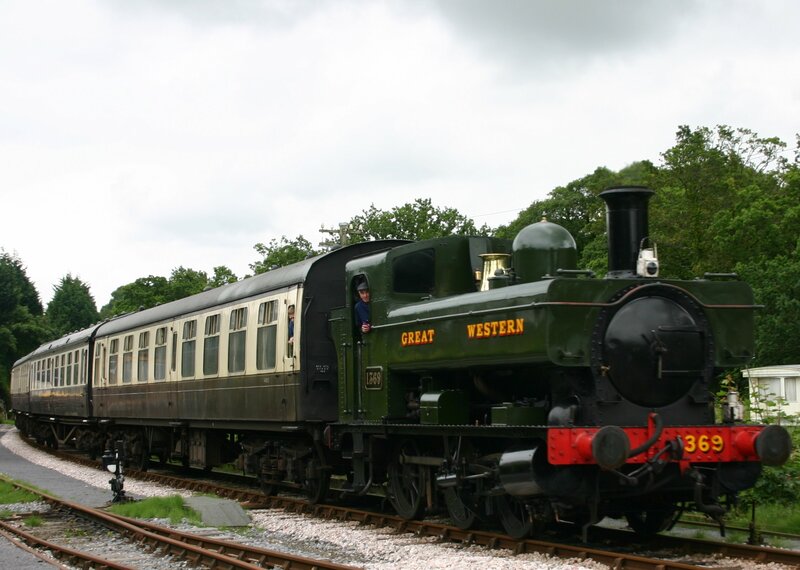 This particular example is normally based on the Llangollen Railway. 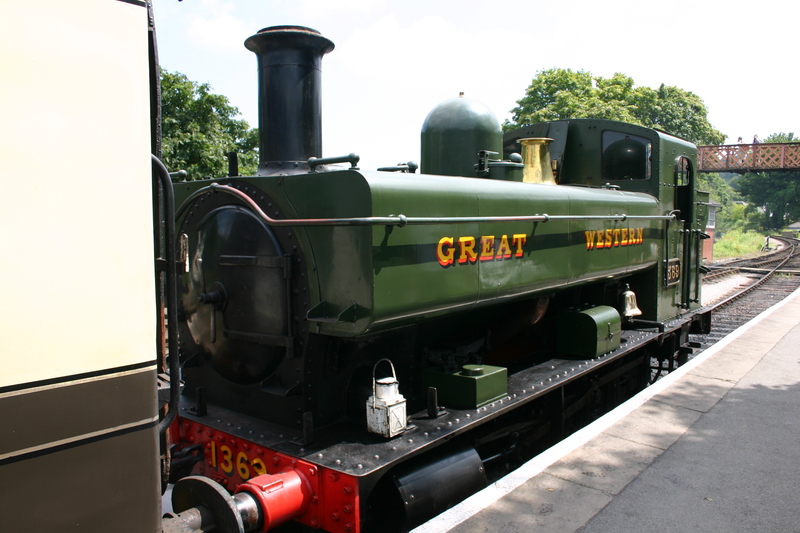 This locomotive is just three years younger than 1369 and has the more common inside-cylinders. The 64xx class were all fitted with auto train apparatus (or push-pull/pull-push as its also known.) This locomotive class is also not available in ready-to-run model form in 00 scale, but interestingly it is one of the few ready-to-run 0 gauge types. 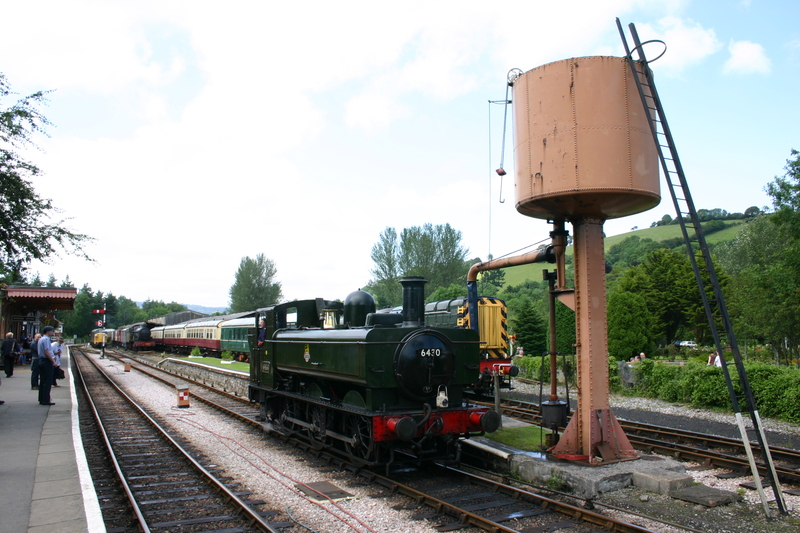 Tomorrow’s post will be my next in the series of past recollections and on Sunday we will be back to Devon, but this time not at the South Devon Railway. Watch this space!